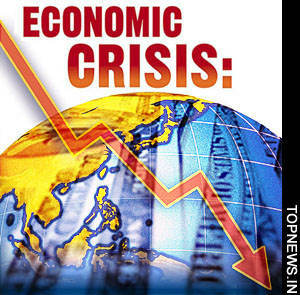 The economic crisis across Europe has made it clear that the European Union isn’t meeting today’s economic realities, a condition that promises to have a global impact on other economies, including that of the United States, according to a report from Joseph Farah’s G2 Bulletin. The economic crisis is growing worse as central European bank lending to such countries as Italy, Greece and Spain now has dwindled to a trickle because investors are backing away from funding the region’s lenders. There isn’t enough capital on hand to finance debt which is due to mature next year. Analysts believe there need to be dramatic changes in the structure of the EU if it is to survive. They add that the EU is at the stage now where it needs to change to a more centralized parliament representing the respective members, who will have to give up some national sovereignty to create what amounts to a United States of Europe. As it now stands, the old EU is made up of countries whose parliaments can dictate the limits of their participation. They’ve seen how some countries in southern Europe with fewer resources and spiraling debt are forcing the more productive countries of northern Europe to help bail out the less fortunate ones, without any requirement for the southern countries to implement belt-tightening measures needed to help themselves recover from their own economic downturn. As a consequence, the richer, northern countries such as Germany are dictating terms to such southern countries as Greece and Italy on belt-tightening measures needed to receive further bailout money. Given the level of interdependence by countries now, it is too late to recede to a more isolated position. In fact, these experts say the thinking is toward “more Europe” with expanded powers and a “real government.” These analysts say that Europe today is where the U.S. was as a confederation prior to 1787 when the U.S. Constitution gave the U.S. a federal system. Then, the confederation was comprised of 13 sovereign states with a Congress having certain powers in foreign affairs, to borrow money, deliver mail and control Indian affairs. However, Congress then didn’t have the power to enforce its requests to states for money or troops until the 13 states ratified the U.S. Constitution. Various analysts’ views are reflected in the concept put forward by Charles Grant of the Center for European Reform. He envisions a democratically united Europe in which citizens of the various countries vote directly for European commissioners, much like the U.S. does now in electing its representatives for the U.S. House of Representatives and Senate.